Gantsilyo Guru: All Hail The Counter App! 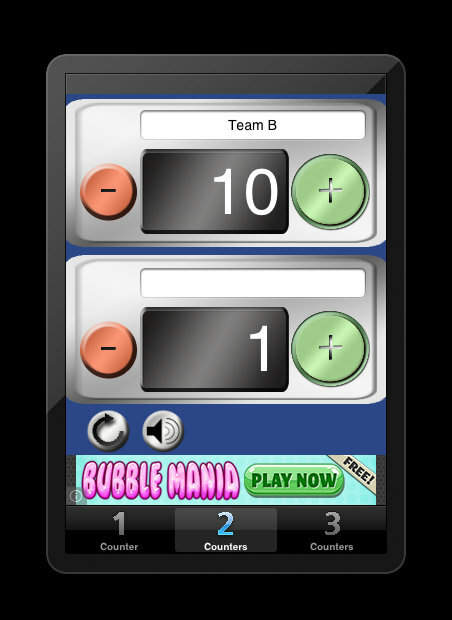 All Hail The Counter App! If you're a crocheter and you've done some projects already, you realize there's a lot of counting involved - from single stitches to rows and even to pieces of motifs. If you don't have some method of remembering, you tend to lose count. I've been quite old school when it comes to counting my stitches or rows. That's how my small notebook looks like. 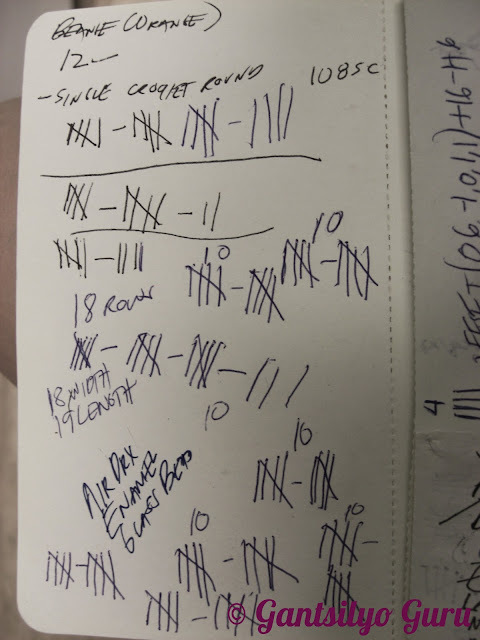 Sometimes the numbers get interspersed with my notes (or the other way around). Sometimes I write them on tissue paper or on whatever medium there is on hand that can be written on (I even tried writing on my skin, just because I had nothing to write on). Then I realized how ugly my notebook has turned out. This is actually my pattern notebook. The back pages have been filled up with sticks. I didn't want to buy a stitch counter (yes, there is such a thing - check a sample here), because there is a big chance that I'll lose it (like losing a pen - it's a sickness). So I go where people go for guidance and wisdom - the App Store. I always have my iPad with me so it's practical to look for an App. My boyfriend Rob was the one who told me to look for an App. 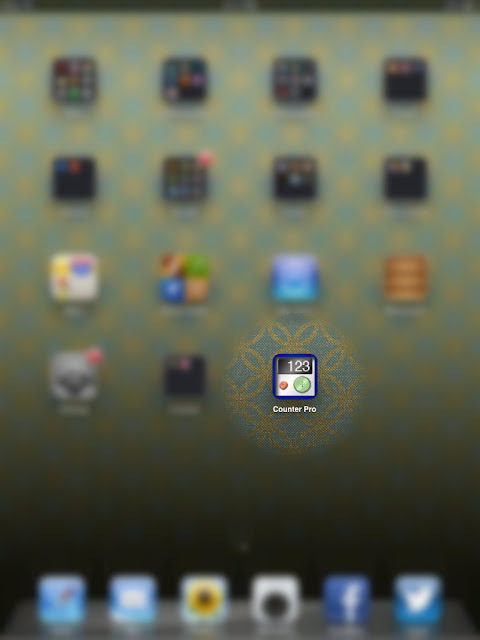 I said, "Yeah right, the App store would have a stitch counter." Well, it's not a legit stitch counter. I found authentic ones though, but they looked complicated (and some had to be bought). I saw this App called "Counter Pro." And it's making me happy :) I use the 2 counters. Basically the counter on top is for the number of stitches or rows I need to make and the one below shows my progress (how many I've done so far). I also like that you can have a "clicking" sound every time you add (or deduct) a row (nothing significant, really...I just need some affirmation I've done progress :p). It's now there, a standalone on my iPad menu. Thank you, technology! Baby Blankie With Red Heart® Baby TLC! To Crochet A Bridal Bouquet: Check! 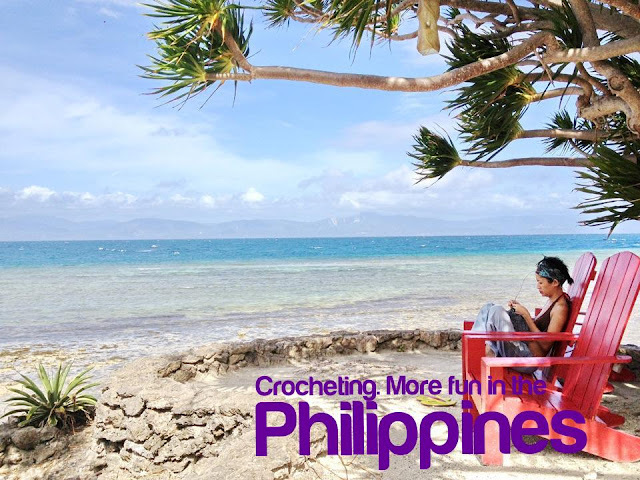 Susan Bates® Hooks Are Coming To The Philippines! Official Crocheted Arrhae Pouch Pictures! Yummy Kit For My Workshop This May! 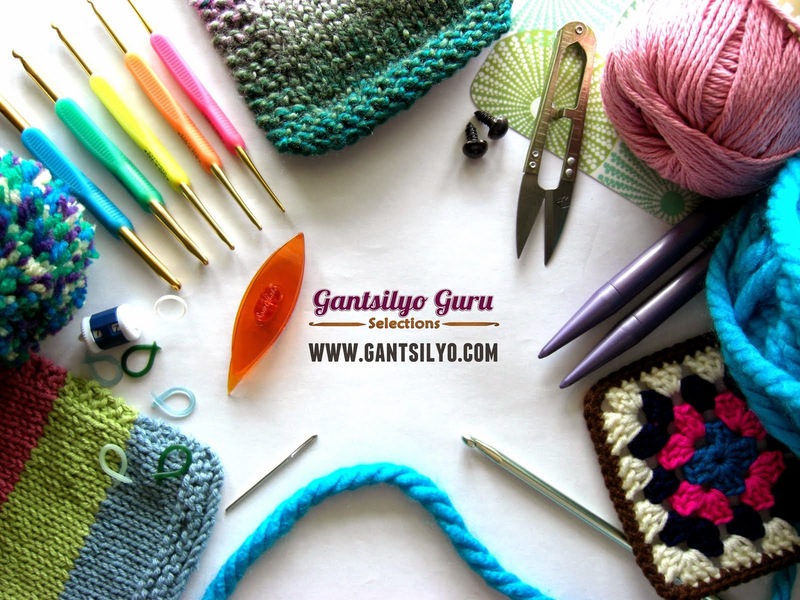 Gantsilyo Guru is on Twitter! Tweet! Tweet!